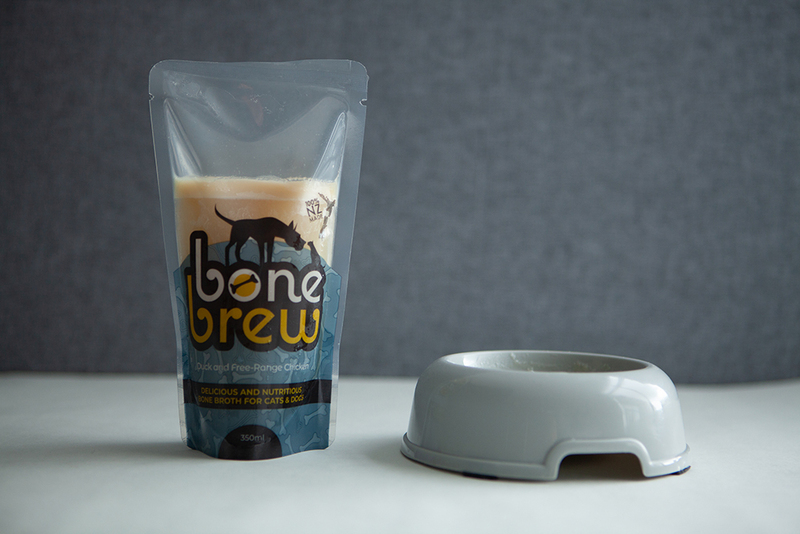 Bone Brew | The Essential Broth Co.
Just like humans, modern lifestyles of cats and dogs can lead to compromised digestion and a leaky gut. This largely happens through diet, use of antibiotics and painkillers, and other environmental factors. Broth is easily assimilated by a leaky gut. It is nutrient dense, rich in minerals, and a highly available source of protein in times of malnourishment, or when little else will be tolerated. Bone Brew is packaged frozen so it’s all natural and there are no preservatives added. Defrost in the fridge prior to use (you can keep it open in the fridge for up to 3 days). Incorporate it with a meal once a day by pouring the broth into your pet’s bowl, just like you would with water, or mix it in with their food. Or pet’s love it as a frozen treat on a hot summer’s day! Broth will heal a leaky gut, allowing your pet to absorb nutrients it needs to recover from conditions such as itchy skin, ear infections, urinary tract infections, joint disease, dental disease, inflammatory bowel disease and autoimmune diseases. Broth also aids recovery from wounds, injuries and post-surgical trauma. For healthy cats and dogs, bone broth can also be used as a nutrient boost to promote good health. Find out more about the nutrients in broth here.